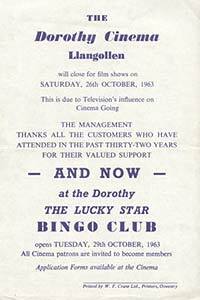 Llangollen and Llantysilio have always had much to offer both local people and visitors in their leisure time. For over 100 years people have enjoyed the calm relaxation of a canal boat trip or fishing on the River Dee. May Day parades and local fetes have generated community spirit and the now closed doors of the Dorothy Cinema provided a temporary escape from everyday life.The many clubs and societies have provided opportunities for entertainment and sport for everybody over the years and the tradition is still going strong today. 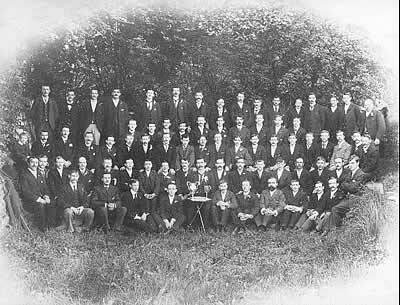 The Llangollen Male Voice Choir was formed by John Edwin Morris in 1900 and went on to win many competitions. 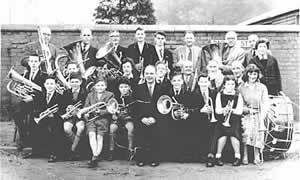 Four years later the Llangollen Silver Band was established. The SilverBand is a regular contributor to musical life in Llangollen and beyond, and has also won many prizes in important competitions. Founded in 1909, the Llangollen Amateur Operatic and Dramatic Society still regularly performs in Llangollen and, for 14 years, it has encouraged a thriving junior section – The Young Uns. The society regularly wins Clwyd Community Theatre Association awards. The 20 Club, formed in 1946, regularly performs classic and contemporary plays in Llangollen and the St Collen PantomimeGroup, which came into existence in 1984, regularly performs pantomimes in Llangollen. 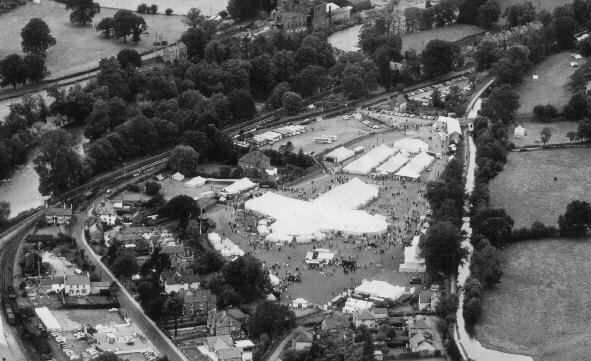 The Eisteddfodic tradition in Wales dates back centuries but the 1858 National Eisteddfod held in Llangollen established the festival generally as it is known today. The National Eisteddfod visited Llangollen again in 1908 but Llangollen is primarily known for the Llangollen International Musical Eisteddfod. 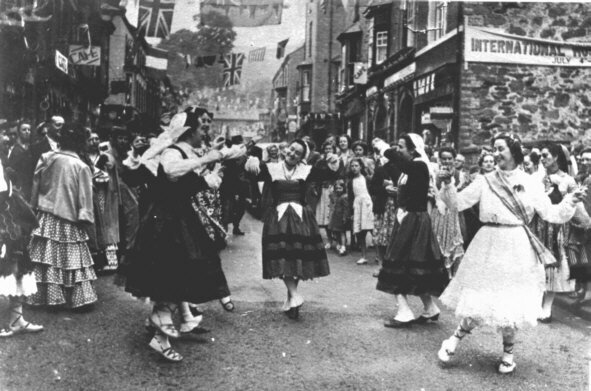 In the bleak years following the 1939-1945 war, one of the world’s most important musical festivals was established in Llangollen. Response to the suggestion that nations could compete in a friendly manner was immediately taken up by many who were tired after years of hate and, in 1947, the first International Eisteddfod took place with competitors from fourteen different countries taking part. The Eisteddfod, today, is still going strongly with more than 6,000 competitors from about fifty different countries taking part in competitions for male, female, mixed and youth choirs. In addition there are colourful competitions for dance groups and folk song parties. The Eisteddfod is almost entirely run by volunteers and about 400 committee members from the Llangollen area are busy throughout the year ensuring the success of the festival.